"Four policemen have been deputed to provide security to the AIADMK MP and a PCR van has been stationed at her North Avenue residence," said a senior New Delhi district police officer. 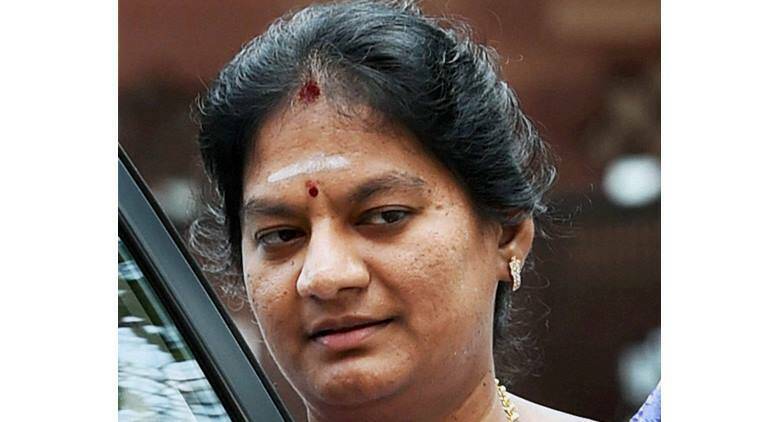 Delhi Police has provided security to expelled AIADMK MP Sasikala Pushpa who has claimed “threat to her life” and alleged that her party was pressurising her to resign from Rajya Sabha. “Four policemen have been deputed to provide security to the AIADMK MP and a PCR van has been stationed at her North Avenue residence. Also, a threat assessment is being done as she has mentioned threat to her life,” said a senior New Delhi district police officer. Sasikala Pushpa and DMK MP Tiruchi Siva had got into a scuffle with each other at IGI airport in the capital on July 30. She was expelled from AIADMK next day for bringing bad name to the party, next day. In her complaint submitted to DCP(New Delhi) office, on August 1, Sasikala alleged, “I was slapped and threatened by party supremo Jayalalitha and her aide Sasikala, and Thambidurai, Deputy Speaker of Parliament, and by all party MPs to resign.” “But I dont want to resign(from) my Constitutional post. If I dont resign then I may face life threat. Thus I place this criminal complaint before the DCP. So that me and my family may get complete protection with immediate effect at 135-137, North Avenue, New Delhi,” she said. The incident happened around 2 PM when flight 9W-854 was getting ready for departure, an airport source said. Sasikala had allegedly scuffled with the DMK MP who was scheduled to travel on the same flight to Chennai. But he had later decided to leave it as she was also in the same flight. While returning to the check-in area, the two lawmakers got into scuffle and the airport staff had to intervene.